In this workshop you will learn about grey-greens, blue-greens, yellow-greens through mixing colours on the bobbin for weaving and looking at where they sit on the colour wheel. The workshop will look at "Verdure", a historical form of tapestry featuring greenery - landscape, trees and plants for design inspiration. Inspired by a leaf, develop your own design of overlapping shapes/landscape. Weave with green colour and tonal variations. Suitable for experienced and beginner weavers. 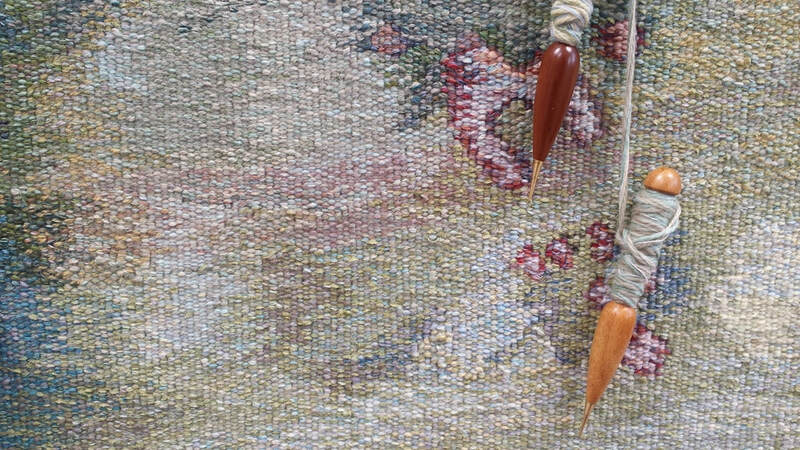 Beginner weavers will be introduced to techniques for weaving and designing tapestry. - Reading glasses if needed.